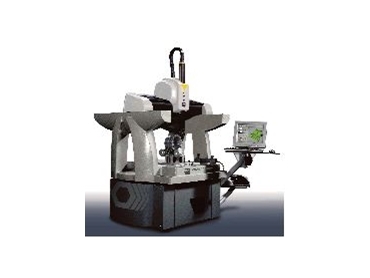 The Brown &amp; Sharpe ONE Coordinate Measuring Machine. JOHN Hart will be highlighting the three pillars philosophy -- Experience + Technology = Success -- at the Austech Exhibition this year. The display will feature the latest in machine tool technologies and demonstrate how John Hart's expertise can help customers utilise the full potential of these technologies. The highlight of the display will be Mazak's new, 6th generation Mazatrol Matrix CNC system with twin 64 bit engine processor. * ease of operation features with rotary dial switches, pointing device, increased data capacity, larger CNC display, and USB interface. The "DONE in ONE" Integrex 200S Mk-IV will also demonstrate the extent of Mazak's intelligent multi-tasking capabilities through the use of upper and lower turrets, synchronised control of B & C axes, simultaneous 5-axis machining and many other advanced features. This year's display will feature the new Nexus QTN250MY lathe with the additional Y axis capability, the latest in the popular line of advanced CNC turning centres. Additionally, the new Nexus VCN510C vertical machining centre will be displayed, the most recent release in the Nexus range of high productivity and superior value vertical machining centres. PCDMIS NC in process inspection will also be shown for the first time on the Nexus VCN510C. In addition the John Hart stand will feature the Brown & Sharpe ONE Coordinate Measuring Machine (CMM), designed for effective and accurate shop floor measurement and inspection, achieved through the class leading, speed, useability and precision capabilities of the B&S ONE CMM incorporating PCDMIS software. The John Hart display will be located at stand number F50 at the Austech 2006 Exhibition, May 30 - June 2, Sydney Exhibition Centre.